Who hasn’t wanted to hear from Jesus once in awhile? How about every day? Now you can, and not just in the King James version but also as Modern English. All messages come from the New Testament, as well as optionally from some gnostic texts such as the Gospel of Thomas. 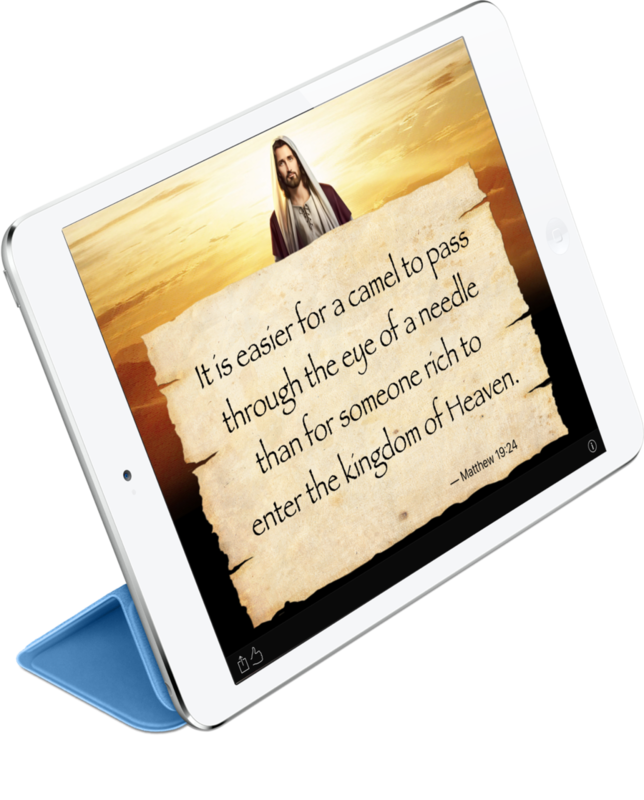 The type of verse to be quoted can be selected by touching the button in the lower right corner of the main screen. The hour of delivery for daily texts can also be adjusted in the Settings app under “Jesus Texts”. Install the included Today Widget to get the daily verse in Notification Center. Search for verses easily from Spotlight search. 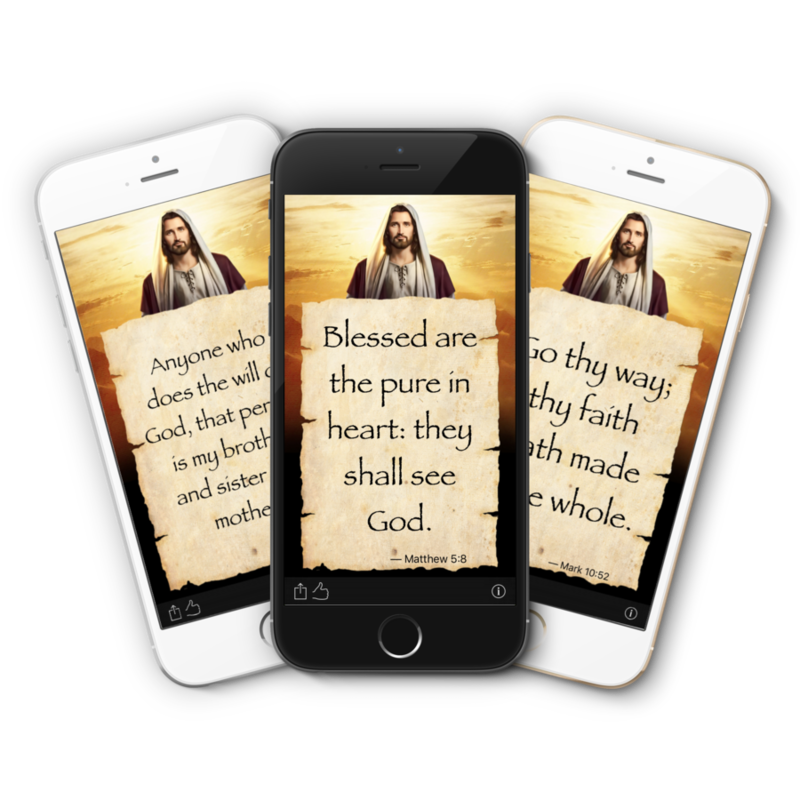 All verses are indexed and searchable on your iOS 9 device. 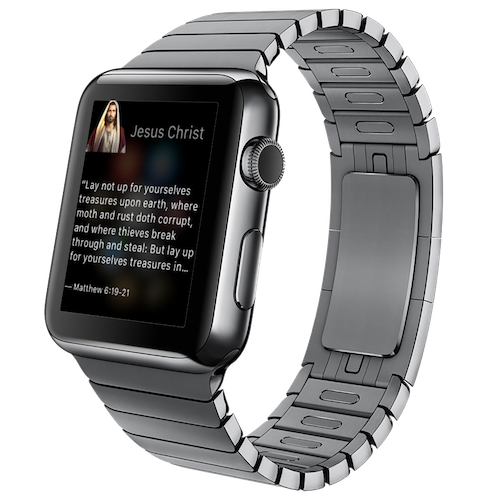 The verse of the day can be quickly accessed and shared from your Apple Watch.